You belong, either to the building - or to the wrecking-crew! continue reading "10 Little Christians"
Please take some time to watch & listen to this video - it will encourage you to know that no matter what happes in our lives or how bad something seems - that we will overcome and have victory! continue reading "More Than Conquerors"
Internet Evangelism Day is set for April 29, 2007. The IE day is set up to encourage churches other groups and individuals to tap into the power of utilizing the web for evangelism. The Internet Evangelism Day website offers free downloads - PowerPoint, video clips, music, drama scripts or handouts. The site also has information on how to build a successful church website, write blogs, create video clips as well as many other avenues to interact online and share the gospel message. The web has had tremendous growth over the years. Believers have the opportunity to reach people with the saving knowledge of Jesus, right from the comfort of their own home. Distance is no longer a barrier; we have access to people all over the world - the makings of a perfect mission field? Can God use the internet to bring people to Him? See these testimonials. Please consider adding a temporary banner to your website; help Christians to be equipped to reach the world online for Jesus! continue reading "Internet Evangelism Resources"
for everything else there's Master card. I'm sure you've all received their applications in the mail. However, I'm here to advertise a different card. You see, my life is a product for others to see. That's right, The MASTER'S CARD. There are no finance charges, no payments due. My bill has already been covered...it's a prepaid deal..
so Jesus stepped in and paid it for me. My Name is written on the card for all to see. It is accessible twenty-hour hours a day from anywhere in the world. has so many benefits it's hard to list them all. you might want to apply for a personal card yourself. Just for starters there is UNLIMITED GRACE. Then, look no farther than The MASTER'S CARD.. It offers the greatest rate on love that has ever been offered. gives you access to many "members only" benefits. Want real joy despite the difficulties of life? Apply for The MASTER'S CARD. Looking for something you can always rely on in a jam? The MASTER'S CARD is perfect for you. is that it never expires and will never be cancelled. Once you're a member, you're a member for life... eternal life, that is. Membership has its privileges, you know. So why not apply today? continue reading "My Kind of Credit Card"
Pass up Hypocrisy Street, Gossiping Lane, and Backbiting Blvd. 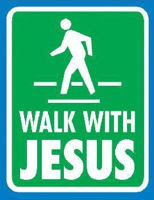 However, you have to go down Long-suffering Lane, Persecution Blvd. And Trials and Tribulations Ave.
continue reading "Directions to Our Father's House"
Before the return of Jesus Christ; date/hour not known; wise to apply TODAY, RIGHT NOW. continue reading "The Kingdom of God is Hiring"
In physics, He disproved the law of gravity when He ascended into heaven. In economics, He disproved the law of diminishing return by feeding 5,000 men with two fishes and five loaves of bread. In medicine, He cured the sick and the blind, without administering a single dose of drugs. He had no armies, yet rulers feared Him. continue reading "Celebrate Jesus - For He is Worthy"
About a week ago, I was led to a blog entitled 'Especially Heather'. Her journey is one of transparency. Little did I know that one woman's journey would touch me so deeply. Last week, Heather was diagnosed with a brain tumour that is inoperable. BUT, she knows God has a plan. BooMama is hosting a day of love for Heather. 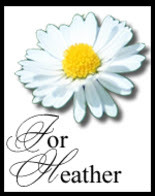 You can post about it on your own blog, pray for Heather and her family, or you can contribute financially. Read more details at BooMama's site . The donation button will remain active for at least a couple of weeks. Any contribution to this love offering would make a difference for Heather & her family; thanks in advance for your support! Thank YOU for keeping Heather and her family in your prayers. continue reading "Spread a Little Love"
and you will be able to meet your potential clients there! the online business consultant, expert and author. online networking efforts,and now she will help YOU do the same. and there is NO Charge to attend it. continue reading "Marketing Salad Business Networking Event"
Want to lose weight? Get fit? Have more energy? SparkPeople can show you how for FREE. SparkPeople is a personalized online weight loss & wellness program. you need to reach your unique health & fitness goals. helping you to stop "dieting" for good and start living a healthier lifestyle. that SparkPeople provides, we help people create healthier lifestyles everyday! Complete, 24 hour access is now available to you FREE of charge! continue reading "You have been Sparked!"